This is your chance to win £1000 of Amazon vouchers! Complete the form below & press "Continue Sign Up". Less than 1 minute to enter! Please tick this box if you would like to receive the latest exciting news and fantastic offers from us via email. Over 50 Million FREE Catalogues, Brochures & Newsletters Ordered! 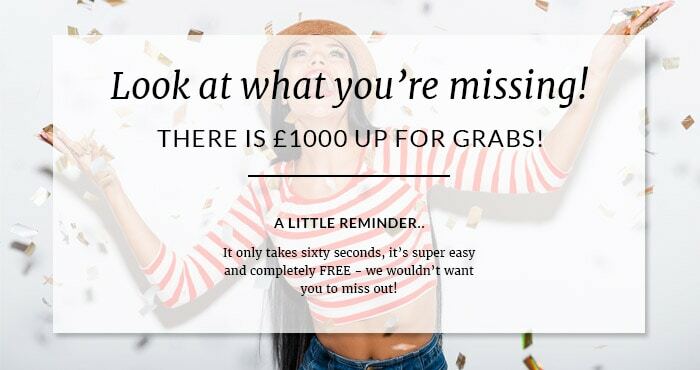 Win £1000 of Amazon Vouchers! Great news - You're already a member! You can still enter the competition. Just enter your details below to login. Don't worry, it happens to the best of us. send you instructions to reset your password.